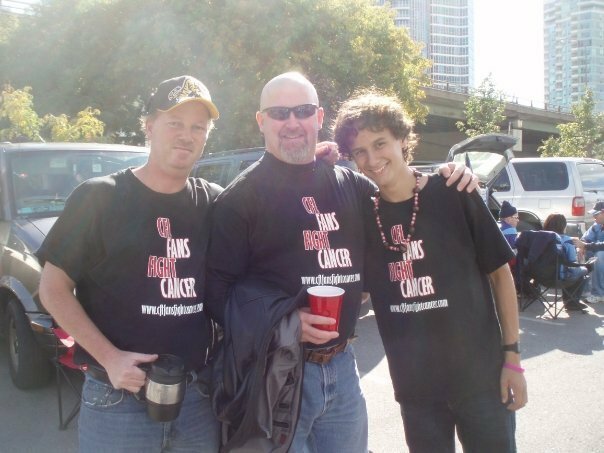 CFL Fans Fight Cancer is exactly what the name suggests. We are a group of CFL fans stretching across Canada that try to make a difference each year in our local communities to fight cancer and support those living with this terrible disease that has touched so many of us. The group is the brainchild of Hamilton Tiger-Cats fan Jarrett Harris of Les’ Fund and Lacrosse Fans Fighting Cancer. An avid CFL fan and member of the Grey Cup community, Jarrett decided to start a similar group among his CFL friends. The groups largest chapter is in Ontario and we also have a presence in British Columbia and have held events in the Winnipeg area as well. Since 2005 we have raised thousands of dollars for charities and foundations such as the Wellspring Cancer Support Centre, Hannah’s Heroes Foundation, The Chris Knox Foundation and the Canadian Cancer Society. Each year at Grey Cup we organize an annual meet and greet in the host city, with all proceeds going to a local cancer charity in that city. Through button sales and this event, this is our biggest event of the year and we always get great support from CFL fans across the country. While we are proud of our efforts and the support we get from you the fans, we still have chapters we would like to see in other provinces. Would you like to help in your CFL city? Calgary, Edmonton, Regina, Montreal and Ottawa, we want you to join the fight! If you want to get involved with us, we would love for you Join the Fight! You can also follow us on Twitter @CFLFFC and on Facebook.